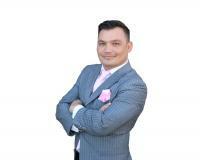 Mr Krulsawat is a professional and a pleasure to work with 'across the table' on a real estate transaction. I strongly recommend Chakits Krulsawat and his associates. Very professional with Outstanding service from start to finish. Last year while living in Honolulu, My wife and I decided to relocate in Las Vegas. As we were looking for a house to buy in Las Vegas, we saw Chakits Krulsawat's name and number online. We decided to call the number and boy, did we made the right decision. Anthony Houston helped us from start to finish with great service. They even provided us with a Loan Officer who was as helpful. Thank you again Chakits and Anthony. We are grateful for your help.